You can easily create what appears to be a Zombie clawing its way from the very bowels of the earth with our Zombie Arm Lawn Stake. 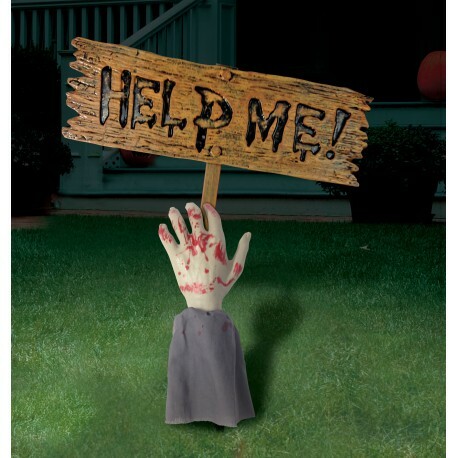 This scary halloween prop comes complete with bloodied hand and attached wood effect 'HELP ME!' sign. The Zombie Arm Lawn Stake measures 22inches and is made of durable plastic.